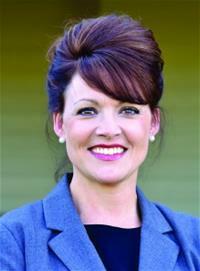 Stacy Rakestraw is serving her second term as City Council member for Ward 3 in Alabaster. She and her family have been Alabaster residents for 20 years. Rakestraw is a graduate of Arkansas State University, in Jonesboro, AR where she earned her bachelors degree in Business Marketing and Management in 1991. Rakestraw worked for BellSouth Mobility (AT&T) in Memphis, TN, before moving to Alabaster. Rakestraw has enjoyed being active in the community through her work at Evangel Church as the Children’s Director for 15 years, the Alabaster Sports and Entertainment Foundation, an active member of the Thompson High School Quarterback Club, as well as volunteering for many years in the local public school system where all three of her children have and do attend. She has also served as the Apache Ridge Homeowners Association president since 2011. Stacy owns a web development company. She and Kyle have been married for 23 years and have three children, Jake, Faith and Savanna Joy. Jake is a senior Risk Management and Insurance major at Troy University. Faith finished her associate's degree in science at Shelton State and is currently in their nursing program in Tuscaloosa. Savanna is a competitive twirler and is a sophomore at Thompson High School.